So let me get this straight. Because someone shouted “Wolf!” once and there was no wolf, then there can’t possibly be a wolf there at all. Well there you go. Final irrefutable proof that AGW is just a lefty tree hugger plot. 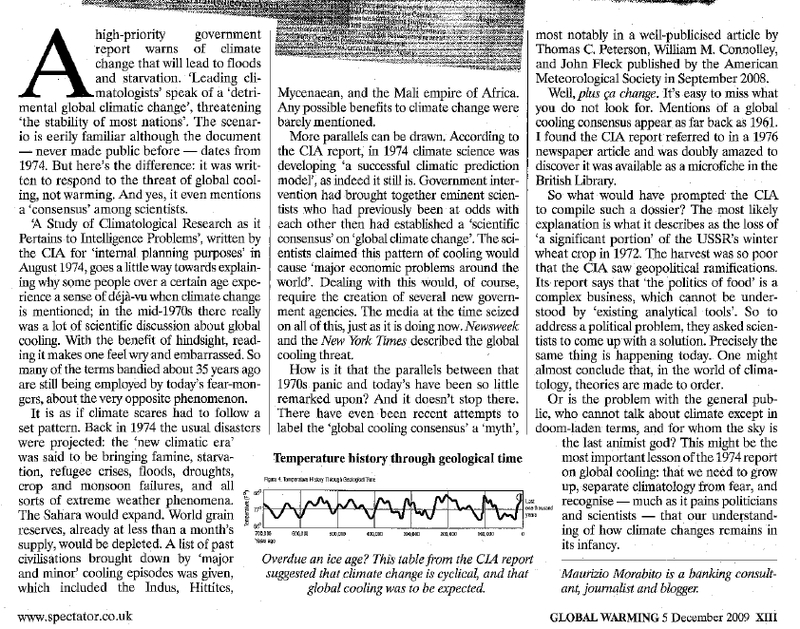 Surely now the great Maurizio Morabito, one man debunkerator of the Big AGW Lie, can claim his Nobel prize for the scientific discovery of the century! Oh sorry forgot,you have to have peer reviewed up to date work to get a Nobel prize. Epic fail you arrogant big head. We are not talking “wolves” here…we are talking about droughts foretold as consequences of cooling, and then of droughts foretold as consequences of warming. Sometimes (eg Schneider) by the very same people. How many times should one be led by his nose before noticing it?? The problem of course comes from those who label scientists “stooges” and “frauds” and who insist they be tried criminally for venting in private e-mails. Had the discussion remained rational, the skeptics might have been allowed into the halls of science by now. In fact, the only ticket necessary to get into the halls of science is to have some contrary data. 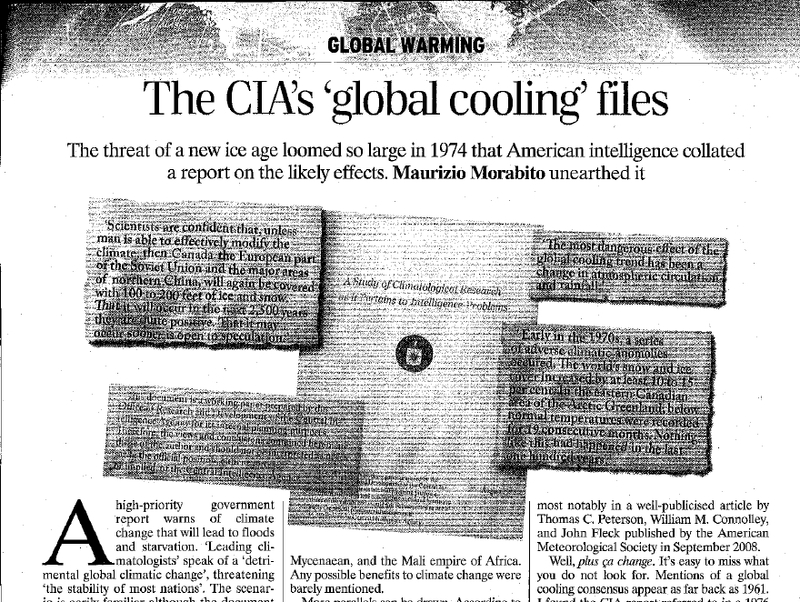 Was the Earth cooling when those files were made? Was the international danger from cooler climate? Make a case, don’t be snotty, maybe someone will listen.